The PCA Fallout tournament is a bunch of fun lwith the varied qualifying rounds and head-to-head format keeping the action interesting. The spectators are more engaged with the live scoring boards during elimination and championship rounds. 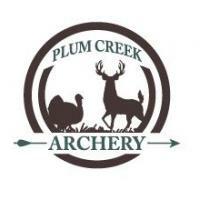 This season we will again have a separate Bowhunter class. Qualification round is Vegas 450. The top sixteen scores from each class will be seeded for head-to-head elimination rounds down to championship rounds. Planned for double elimination depending on number of entries. BIGGER CASH PRIZES this year for the top three places in both classes totaling 70 percentage of entry fees, so bring all your archery friends for the more entrees, the bigger the prizes! Food will be available for purchase.